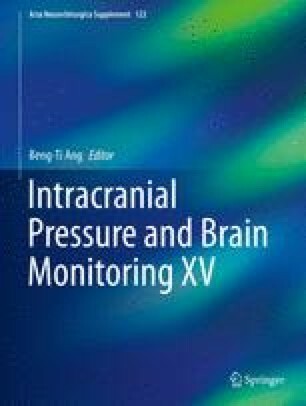 We previously suggested that the discrepancy between a critical cerebral perfusion pressure (CPP) of 30 mmHg, obtained by increasing intracranial pressure (ICP), and 60 mmHg, obtained by decreasing arterial pressure, was due to pathological microvascular shunting at high ICP , and that the determination of the critical CPP by the static cerebral blood flow (CBF) autoregulation curve is not valid with intracranial hypertension. Here, we demonstrated that induced dynamic ICP reactivity (iPRx), and cerebrovascular reactivity (CVRx) tests accurately identify the critical CPP in the hypertensive rat brain, which differs from that obtained by the static autoregulation curve. Step changes in CPP from 70 to 50 and 30 mmHg were made by increasing ICP using an artificial cerebrospinal fluid reservoir connected to the cisterna magna. At each CPP, a transient 10-mmHg increase in arterial pressure was induced by bolus intravenous dopamine. iPRx and iCVRx were calculated as ΔICP/Δ mean arterial pressure (MAP) and as ΔCBF/ΔMAP, respectively. The critical CPP at high ICP, obtained by iPRx and iCVRx, is 50 mmHg, where compromised capillary flow, transition of blood flow to nonnutritive microvascular shunts, tissue hypoxia, and brain–blood barrier leakage begin to occur, which is higher than the 30 mmHg determined by static autoregulation. The work was supported by the National Institutes of Health: NS061216 and CoBRE 8P30GM103400, Dedicated Health Research Funds from the University of New Mexico School of Medicine and the American Heart Association grant 12BGIA11730011.